Monday – Friday, See A Baltimore Dentist The Same or Next Day/Night You Call!. We’re here to help you find an emergency dentist in Baltimore! Emergency Dentist USA helps by connecting you with a 24 hour dentist to solve your dental emergency right away. Our 24/7 hotline will connect you to an operator who has access to walk-in and after hour dentists in the Baltimore area. Whether you’re suffering from a cracked tooth, a soft tissue injury, lost crowns or lost fillings, we can help you find a dentist to meet your needs. We have also done extensive research on 24 hour, walk in and after hours dentists in the Baltimore area, and have compiled a list below of dentists who are willing to help with any emergency dental situation. Spent 30 minutes dialing dental offices last night before I stumbled on your website, 5 minutes later I had given you the information about my situation and had an appointment with a dentist to solve my loose cap, and it was SATURDAY!! Thanks! If you’re thinking to yourself “How am I going to find a walk in dentist near me?” You’ve come to the right place, we can help you! There are numerous dentists in the Baltimore area that can assist you with your dental emergency. From the list below, Cantonsville Dental Care is one of the best we found due to their hours of operation and relaxation dental care. They are open extended hours during the weekdays and even have Saturday hours. They are in a new “state of the art” facility and can handle any emergency you may face. Also from the list below, University Of Maryland Urgent Care Dentistry is also a great choice for a walk in clinic. 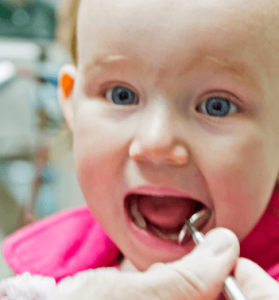 They offer first-come, first-serve appointments Monday through Friday and also handle dental emergencies with children in their Pediatric Dental Clinic. If you’re unable to reach one of these dental clinics, call our hotline phone number and you will be connected to one of the operators, 24 hours a day 7 days a week, who can help you find an emergency dentist in Baltimore, MD! Description Call to be connected with the perfect dentist for you! The operator will refer you to the proper Baltimore emergency dentist as soon as you call, and help set up an appointment for you. We are a 24/7 operation and can help anytime, day or night. Don’t hesitate to use our free service! Find Maryland 24 hour dentists today. Description: They have relocated to a new “state of the art” dental facility in order to better serve their patients. They understand going to the dentist can be an anxious experience, and take extra steps to make sure you are comfortable during your visit by practicing relaxation dentistry. They accept most dental insurance plans, please contact to verify if they accept your specific plan. If you do not have insurance, they require payment at the time of service. Description: The patients at Govan’s Dental are the most important asset, they hope to create a long lasting and trust-filled relationship with each patient. They accomodate emergency calls and welcome new patients seeking help. Also, this clinic is the place to call if you have the special needs of a diabetic dental patient. They accept cash, check or any major credit card. They also accept most dental insurance plans, please contact to verify if they accept your specific plan. Description: With over 25 years experience, Angel Dental Care offers the highest quality of 21st Century dentistry, delivered in a comfortable and luxurious environment. They hope to provide a personalized and excellent standard of care to each and every patient. Angel Dental Care is one of the largest practices in Maryland, and they can help with your weekend dentist emergency. Description This urgent care clinic is a walk-in clinic for patients experiencing a dental emergency, there are limited urgent care appointments and they are filled on a first-come, first-serve basis. They offer services for adults and also children through the Pediatric Dental Clinic. The clinic is open Monday – Friday. Treatment is provided by predoctoral dental students under the supervision of licensed dentist faculty members. They do not accept HMO insurance plans but do participates with several PPO insurance plans. There is a $168 fee which includes exam, x-ray and extraction if necessary. Let us help you find an emergency dentist in Baltimore, call our hotline to get connected! Below we discuss a few dental emergencies you may face, and also some remedies you can try until you are able to get into a 24-hour dental clinic in the Baltimore area. Damaged Braces: Braces can be damaged from eating tough foods, an injury from sports, etc. If a wire is loose or bent and bothering you, you can use a pencil eraser to push the wire into a more comfortable position. Call an after-hours dentist immediately and explain the situation, they should be able to tell you if you need to be seen right away or if it can wait. Loose Painful Tooth: A loose tooth could be partially dislodged and you’ll need to see an urgent care dentist right away. The tooth can be saved if you’re quick about getting an appointment. For the pain, you can use over the counter pain medicine and can use a cold pack to help with swelling and aches. Lost Crown: If you lose a crown, you’ll need to get into an emergency 24 hour dentist right away. If possible, slip the crown back over the tooth. You can get it to stay in place with a little dental cement, adhesive or even toothpaste. “If your crown comes off and it will fit back over the tooth, you may attempt to hold it in place with toothpaste or denture adhesive for a short-term solution until you can see the dentist. Soft Tissue Injury: Injury to the soft tissue can be painful and can also cause a lot of bleeding. The first thing you need to do is control the bleeding. Once you have that controlled, get into a Baltimore walk-in clinic as soon as possible so they can assess the injury. Abscess: An abscess is an infection at the root of the tooth. You may experience pain, fever, and sensitivity to hot and cold. Garlic and clove oil may temporarily help with the pain, but you will need to get in to an emergency dentist asap. When faced with a dental emergency in Baltimore, it is not always practical to wait for another day or night to get treatment, particularly if your condition requires surgical attention. Finding a dentist office open on the weekend prior to an emergency can really help. While searching for a dentist in Baltimore, you should always take the time to check out the clinic on the Maryland Dental Association, especially if this will be the first time you’re going to see them.